The Mom Experience: Go Clots? "I think the Clots will win! 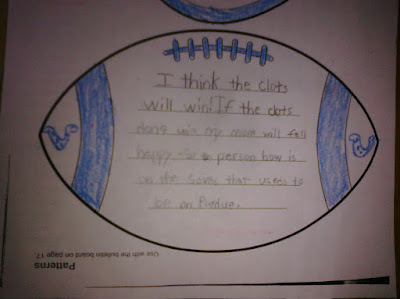 If the Clots don't win my mom will fell happy for a person how (who) is on the Saints that useds to be on Purdue." Well, spelling may not be her strength, but she sure knows me well! Go Colts, or should I say, Clots?